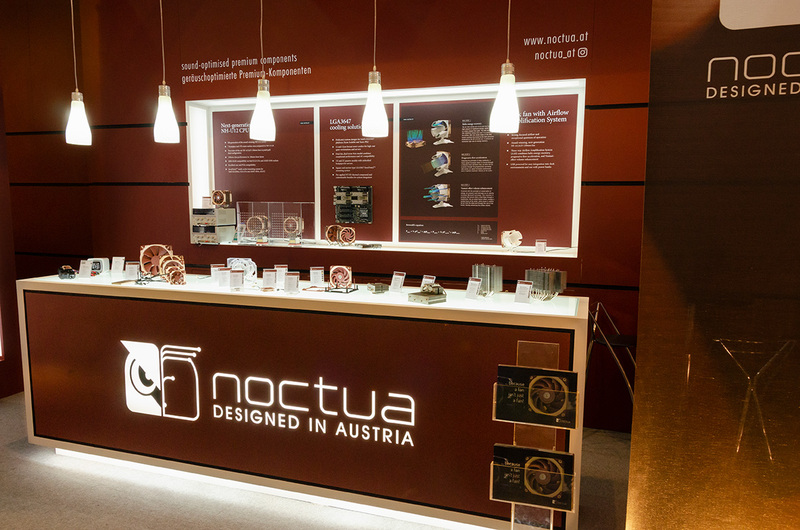 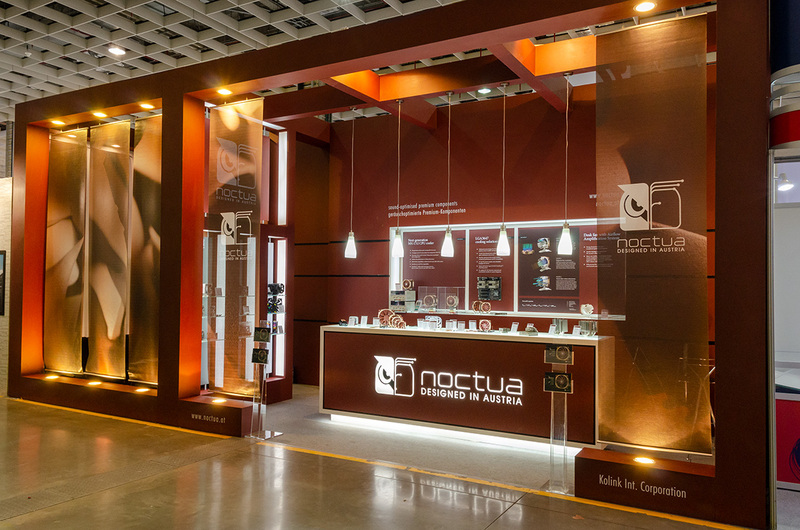 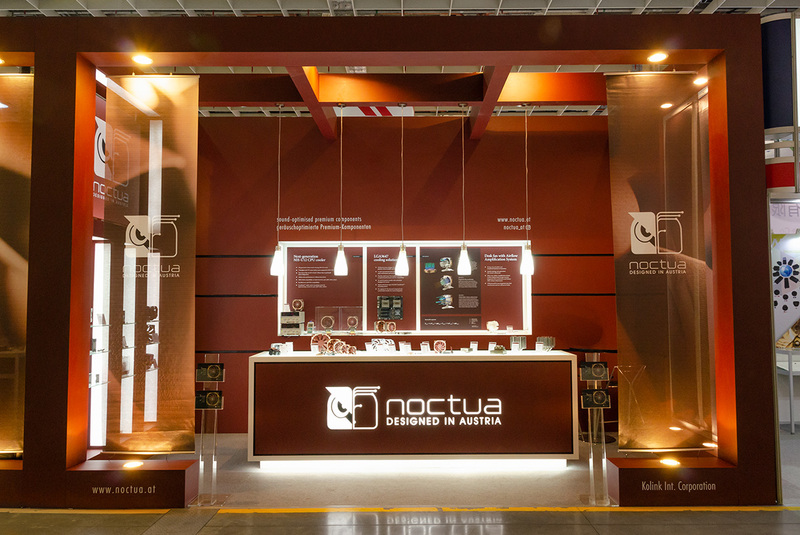 Vienna, June 13th 2018 - At this year’s Computex Taipei trade show, Noctua displayed a wide range of upcoming products and prototypes, including a 120mm CPU cooler that rivals the performance of 140mm units, LGA3647 heatsinks and all-black versions of the NH-D15, NH-U12S and NH-L9i models. 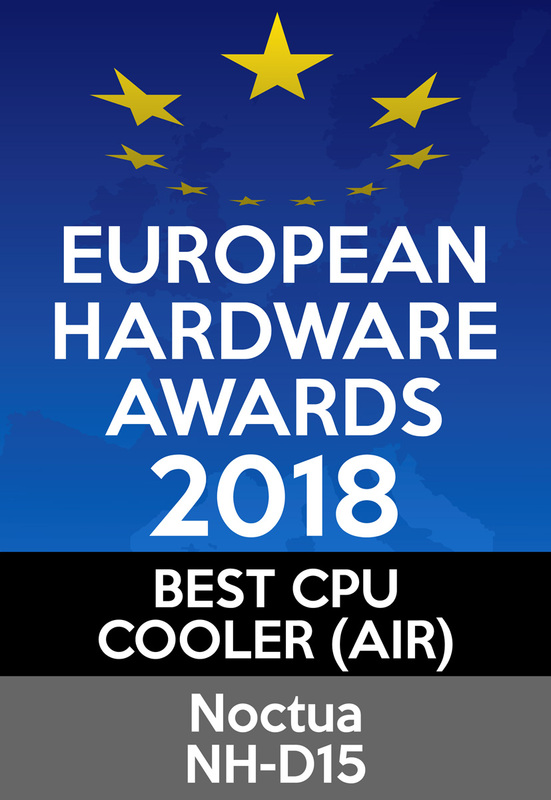 The NH-D15 was awarded best CPU cooler of the year for the second time in a row by the European Hardware Association. 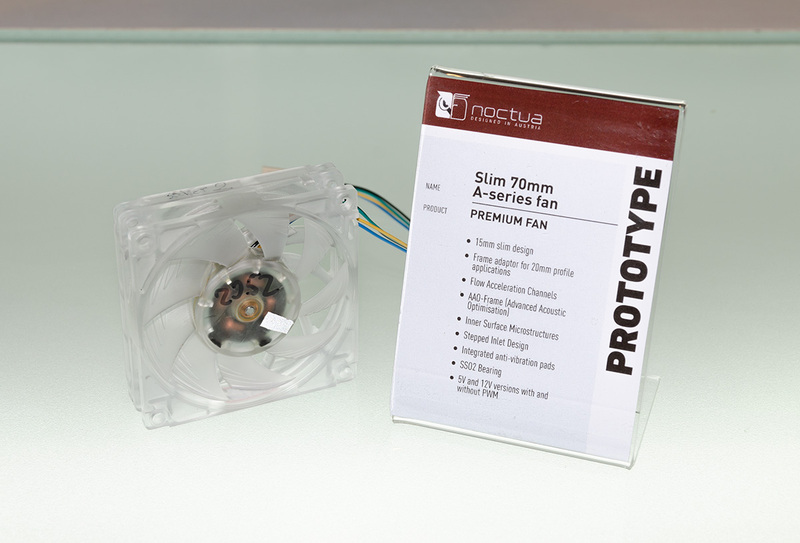 Having released the long-awaited next-generation NF-A12x25 120mm fan in May, Noctua is going to make good use of this model in many of its upcoming products. 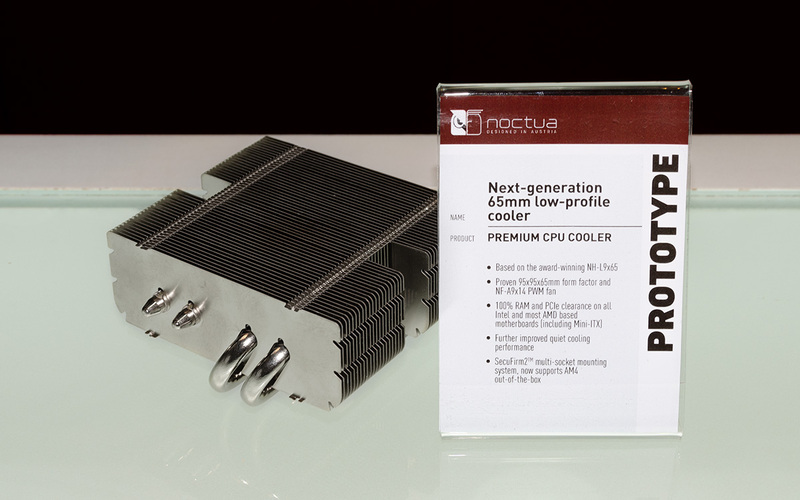 The first example is the 5th generation of the award-winning NH-U12 series CPU cooler, which will use two of the new fans in a push/pull dual fan configuration as well as a heatsink with 7 heatpipes and 37% more surface area. 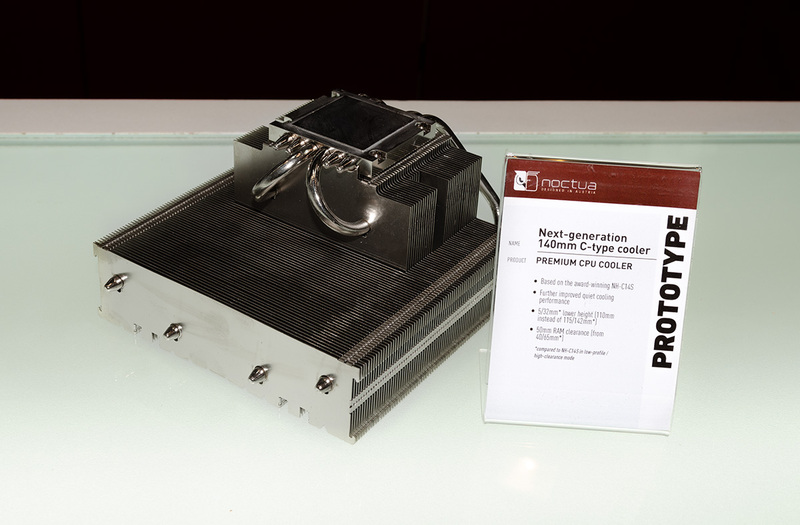 In a live performance demonstration, the new cooler was pitted against the current flagship model at a heat load of 220W and showed near identical performance, despite being much smaller in size than the big dual-tower cooler, which will guarantee excellent RAM, PCIe and case compatibility. 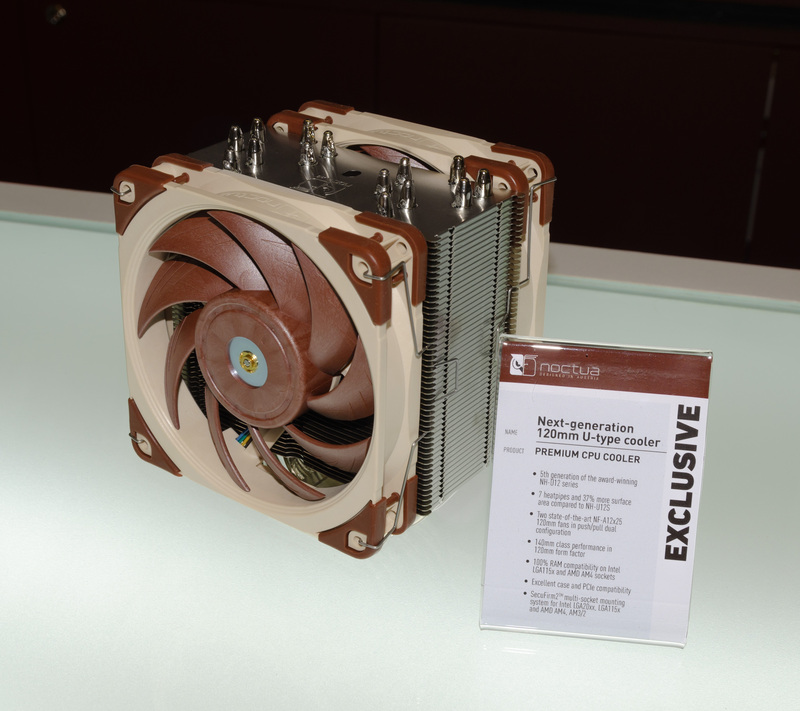 The new NH-U12 series cooler is currently scheduled for release in late 2018 or early 2019. 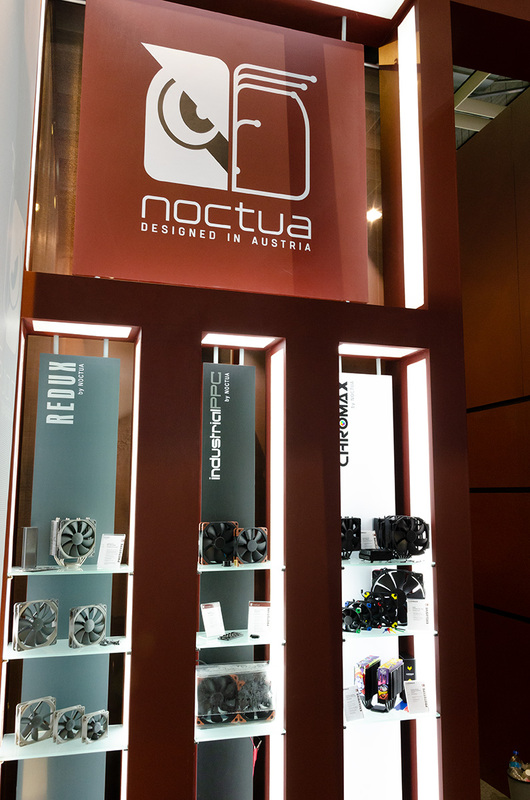 The second application for the NF-A12x25 in Noctua’s show line-up was a desk fan with a three-way Airflow Amplification System that accelerates and enhances the fan’s airflow in order to achieve a strong, focused stream of airflow. 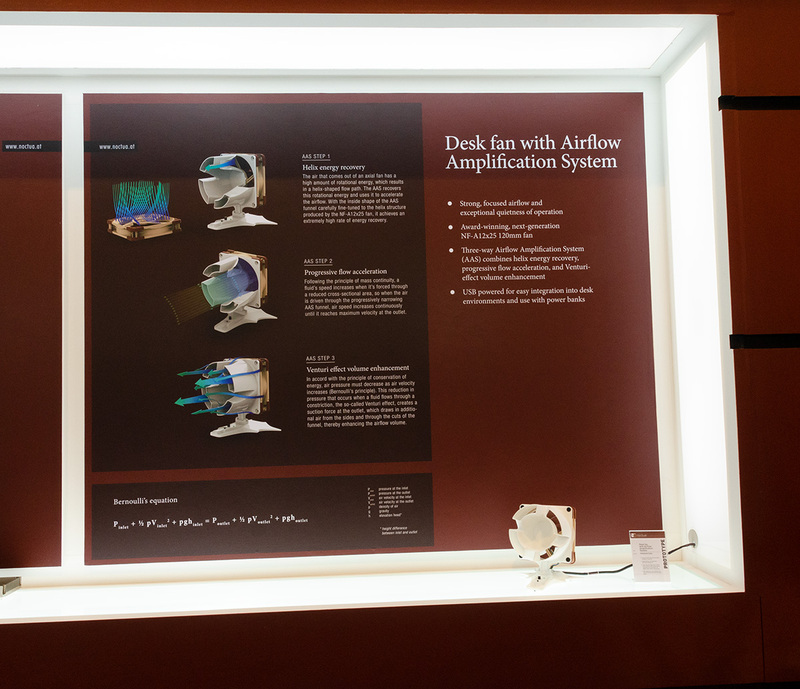 Thanks to the Airflow Amplification System, the desk fan’s airflow can be felt even at a distance of more than 2m, despite the fact that the fan is quiet enough to blend into near-silent office environments. 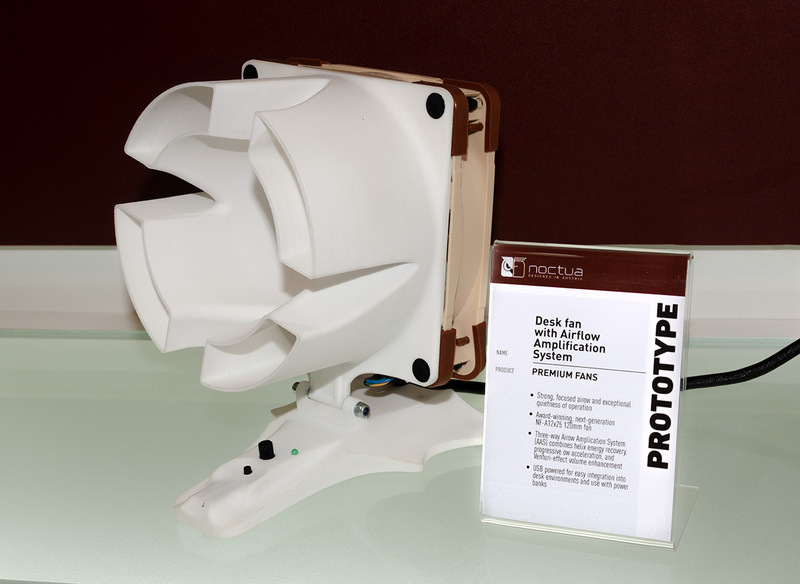 The desk fan is currently at the prototype stage and is expected to hit the market sometime next year. 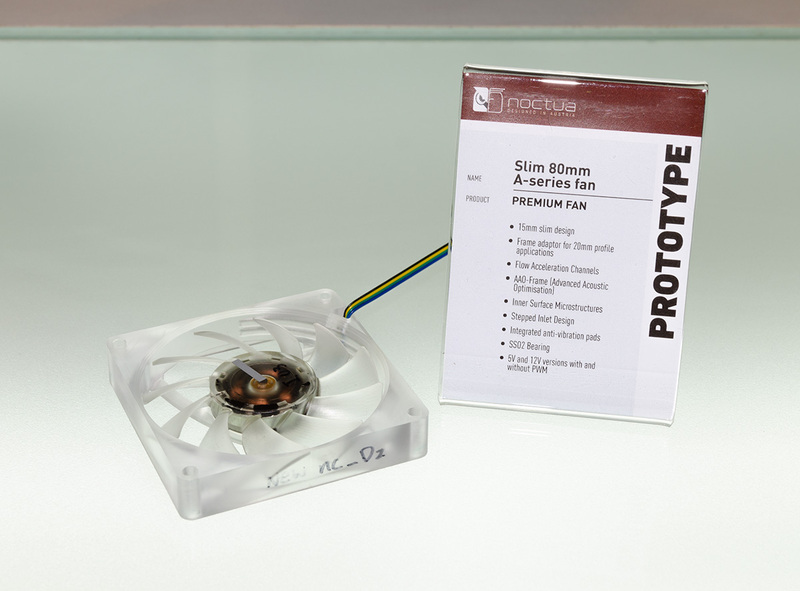 Furthermore, the new NF-A12x25 fan will also be used in the 12cm version of Noctua’s soon to be released Intel Xeon LGA3647 coolers. 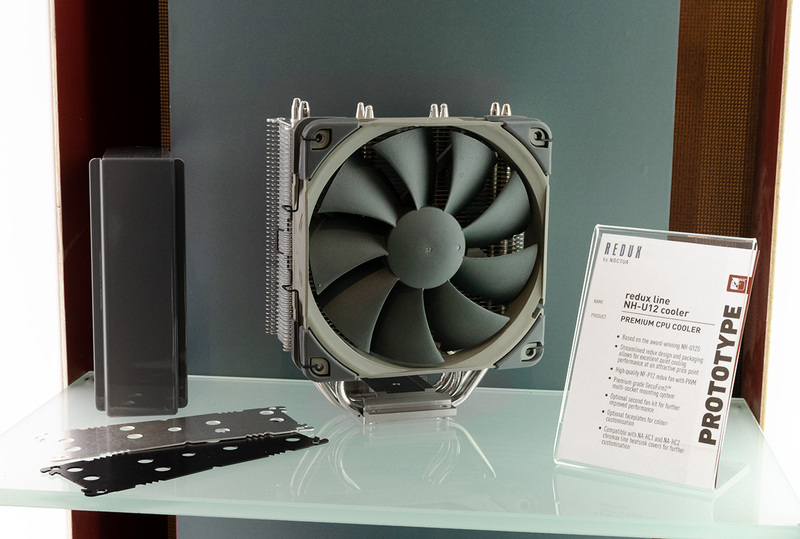 Coming in 14, 12 and 9cm sizes and with 1U and 2U versions in the making, these coolers will support both the square and narrow variant of the LGA3647 sockets and have thermal paste pre-applied in order to reduce installation time for system integrators. 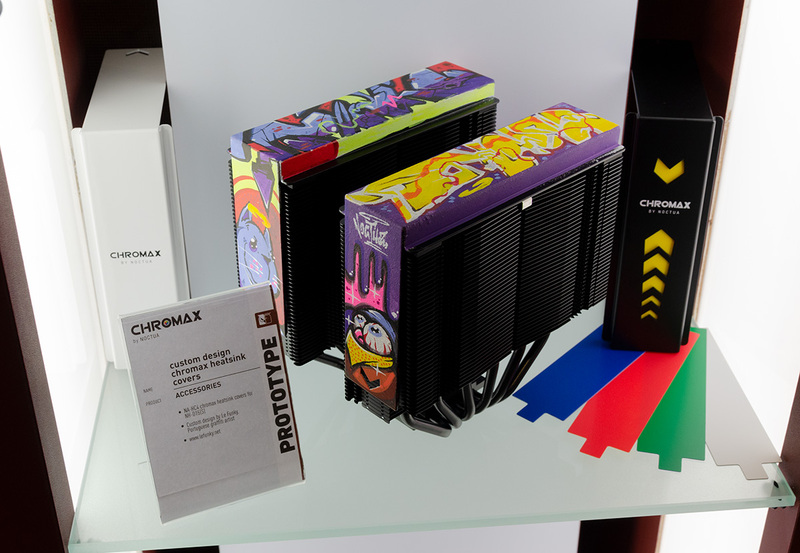 The three tower models will be put on the market shortly. 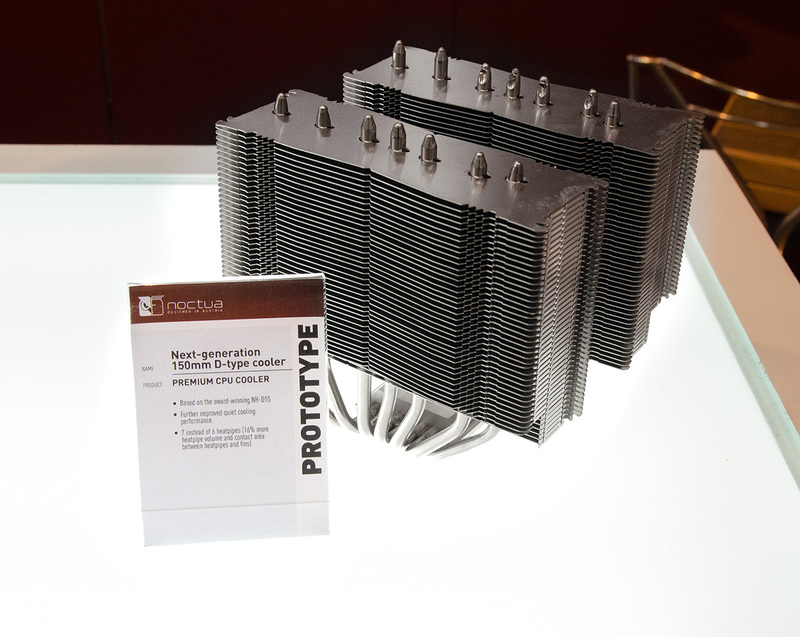 In addition to the next-generation NH-U12 cooler, Noctua displayed an incremental performance update to the existing NH-L9x65 (scheduled for Q1 2019) and a future 140mm C-type cooler (no ETA as of yet) as well as one single tower and one dual tower prototype that both aim to further improve the performance of the award-winning NH-D15. 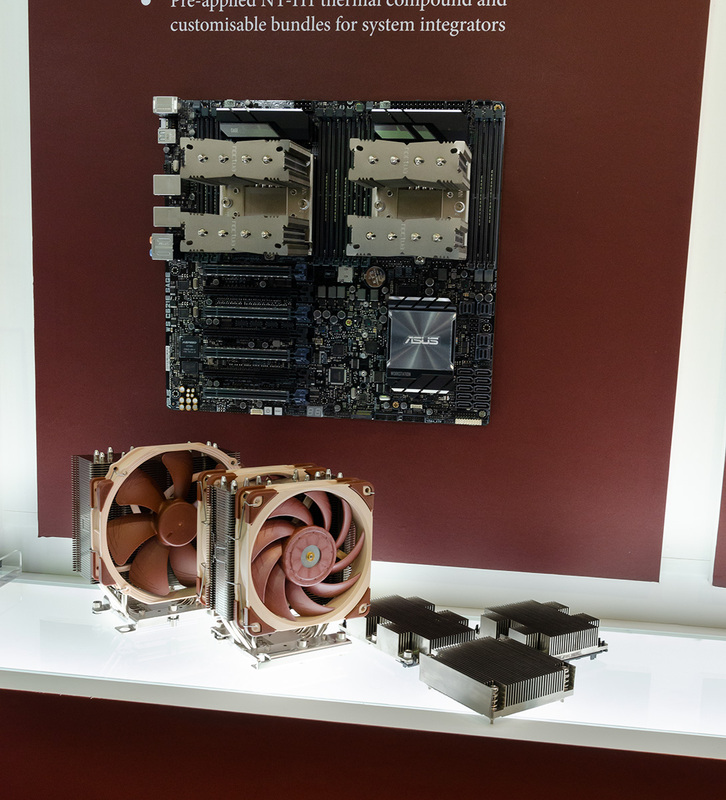 Which of the two will be released in 2019 is yet to be determined based on further performance optimisations. 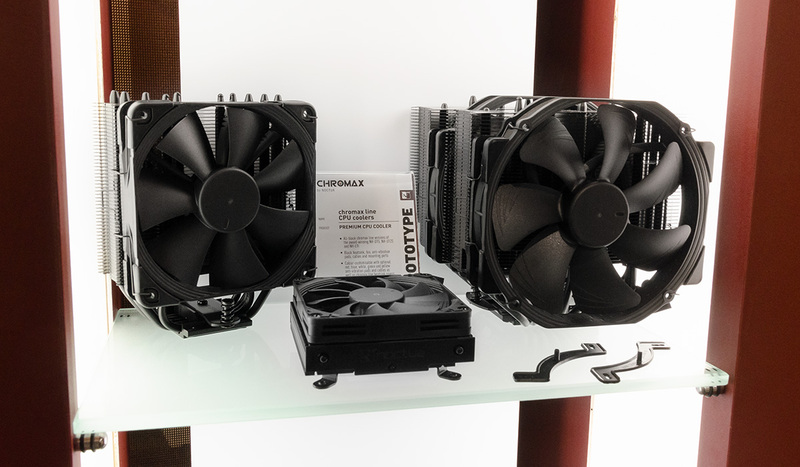 In the chromax line, Noctua showed all-black versions of the NH-D15, NH-U12S and NH-L9i, which are scheduled for release in late 2018 or Q1 2019, as well as black versions of the NF-A20, NF-A12x15, NF-A9, NF-A9x14 and NF-A8 fans. 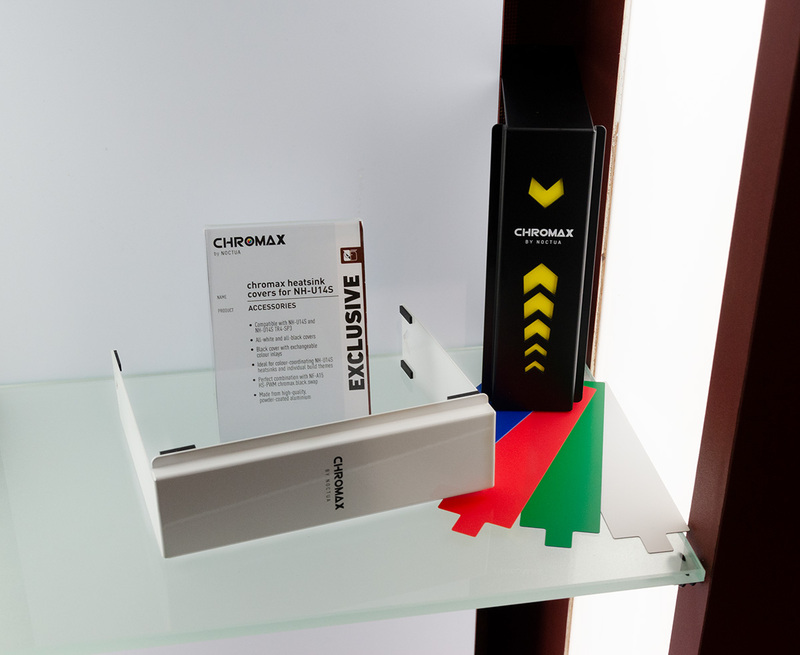 Chromax line heatsink covers for the NH-U14S are being prepared as well and should be available before the end of the year. 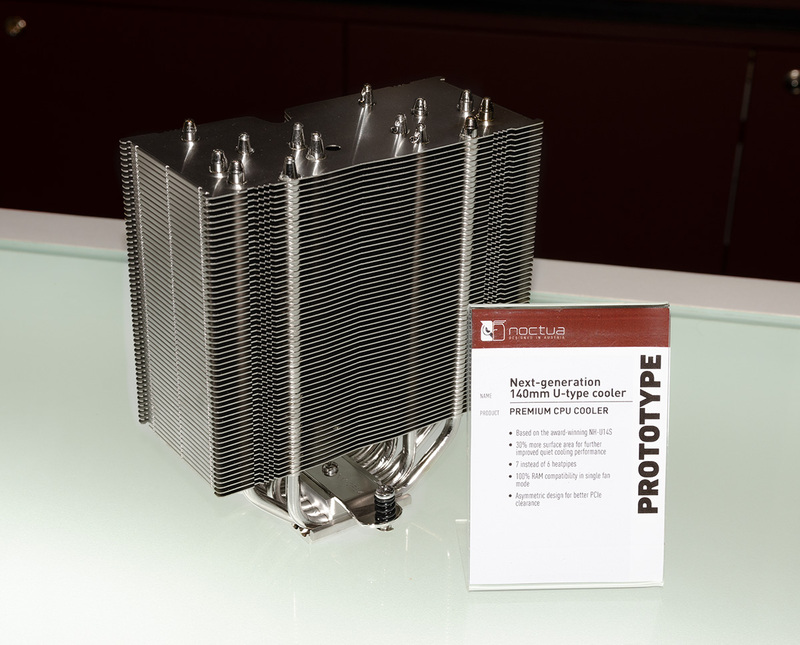 The redux line will be expanded with an NH-U12 series CPU cooler. 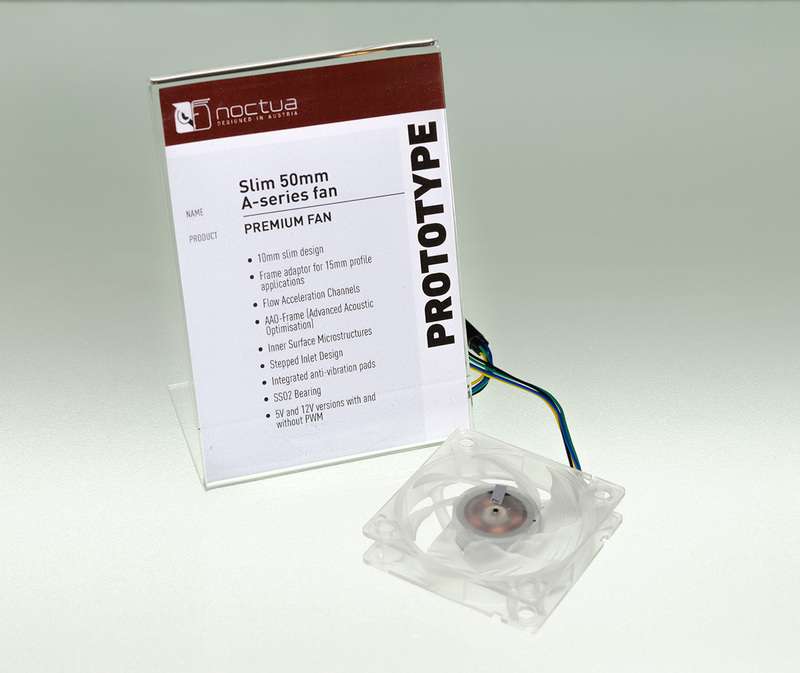 True to the spirit of the redux line, it will be a streamlined, attractively priced version of the popular NH-U12S. 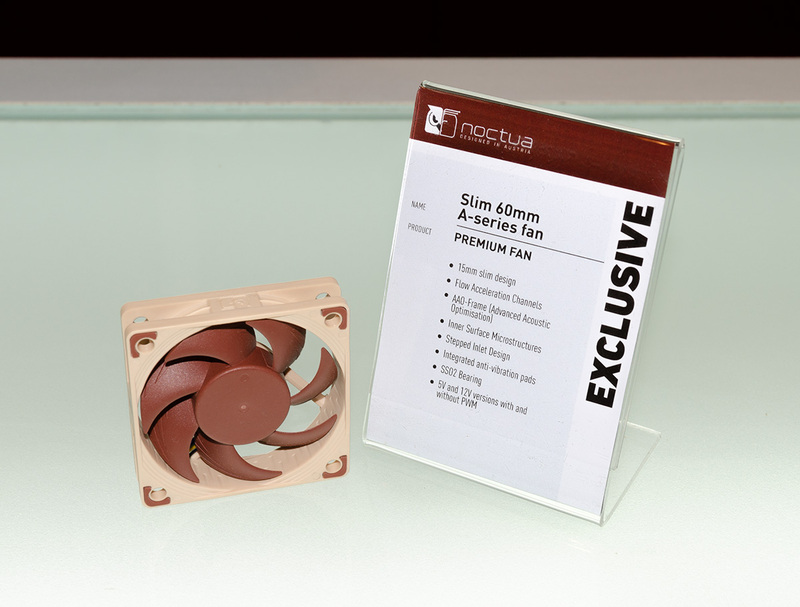 While the number of heatpipes and accessories will be reduced, the cooler will come with the same proven SecuFirm2™ mounting system as Noctua’s more expensive coolers. 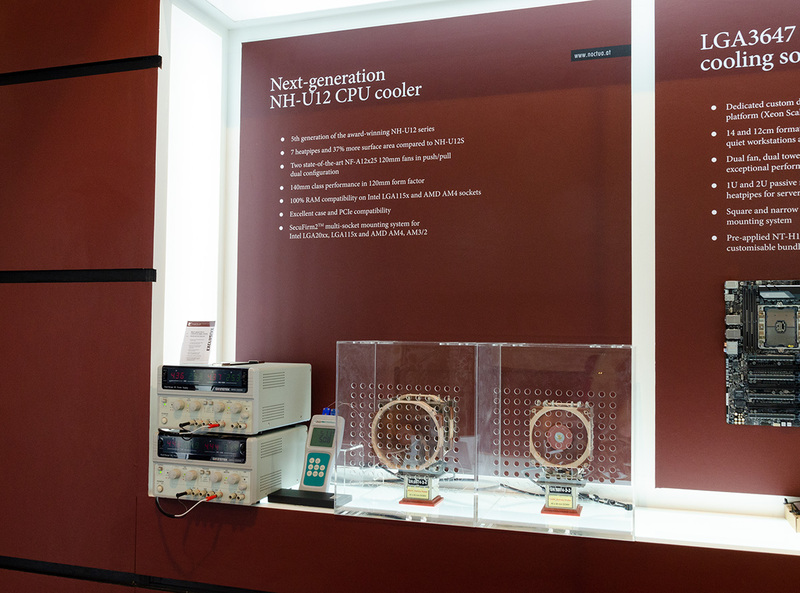 It is currently scheduled for release in Q1 2019. 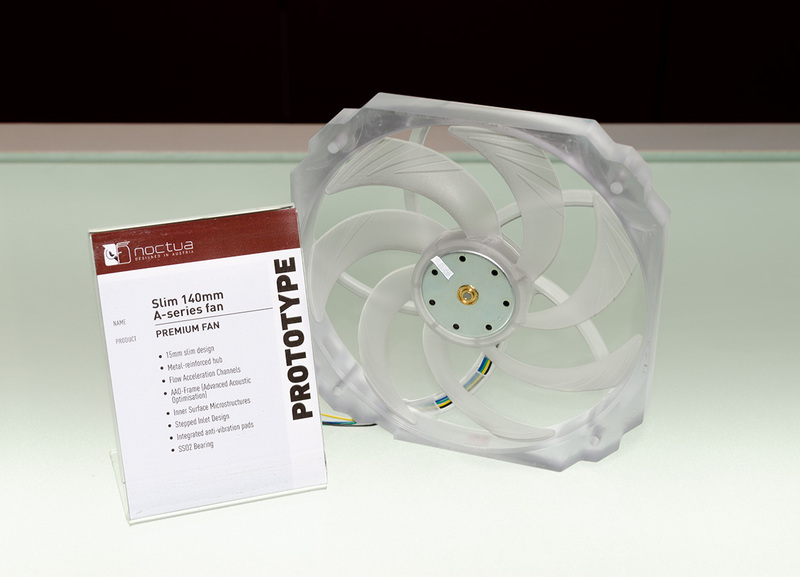 The fan prototypes on display included slim 140x15, 80x15, 70x15 and 50x10mm A-series models as well as a 140mm counterpart of the new NF-A12x25, all of which are on the roadmap for the second half of 2019. 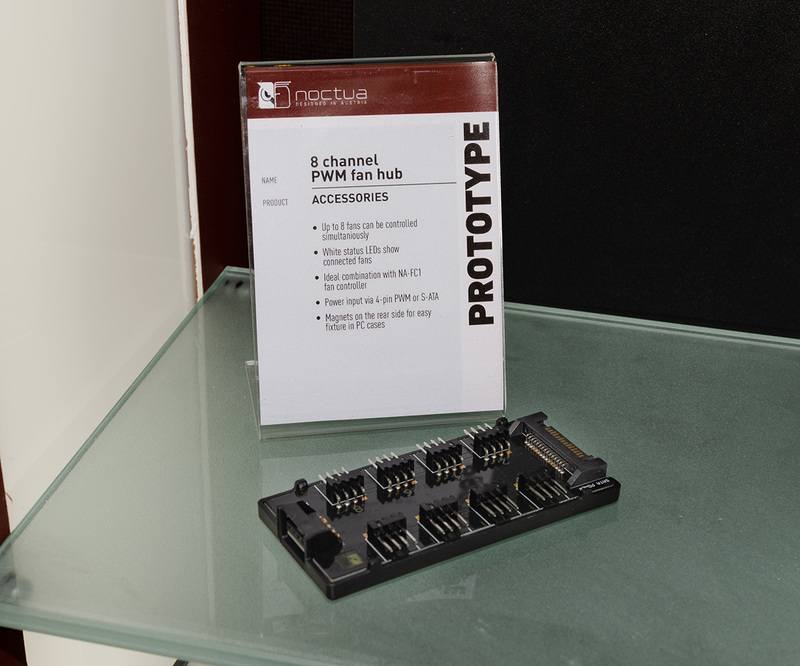 A 6x15mm model should become available in Q1 2019. 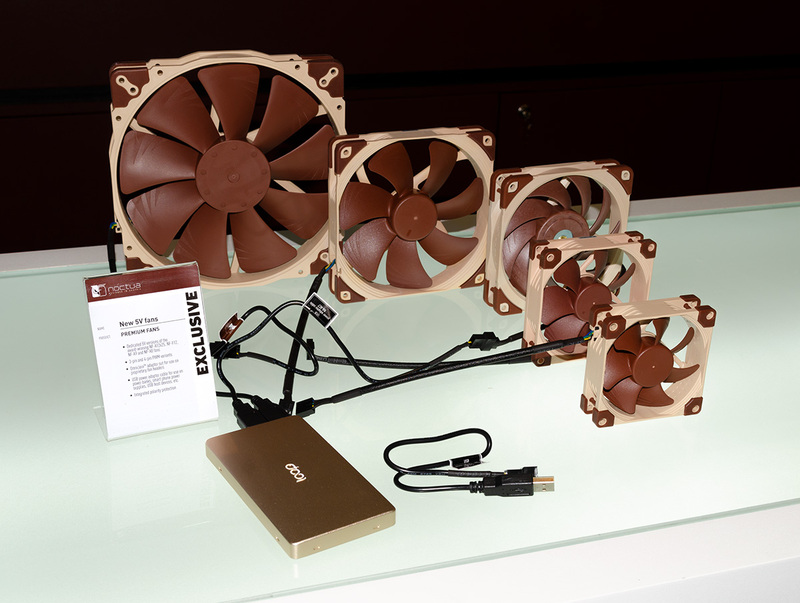 In addition to the new models, Noctua showed 5V and 5V PWM versions of its existing 200, 140, 120, 92, 80 and 40mm models running off a USB power bank. 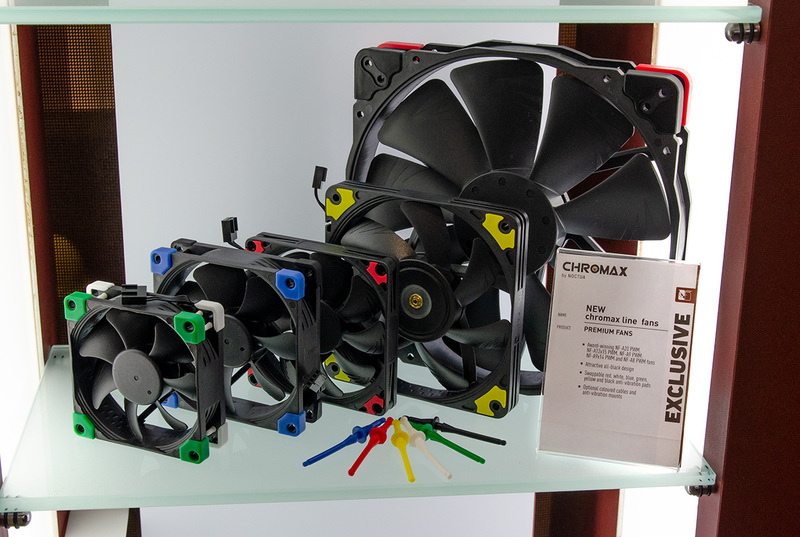 Their release is targeted for Q3 2018. 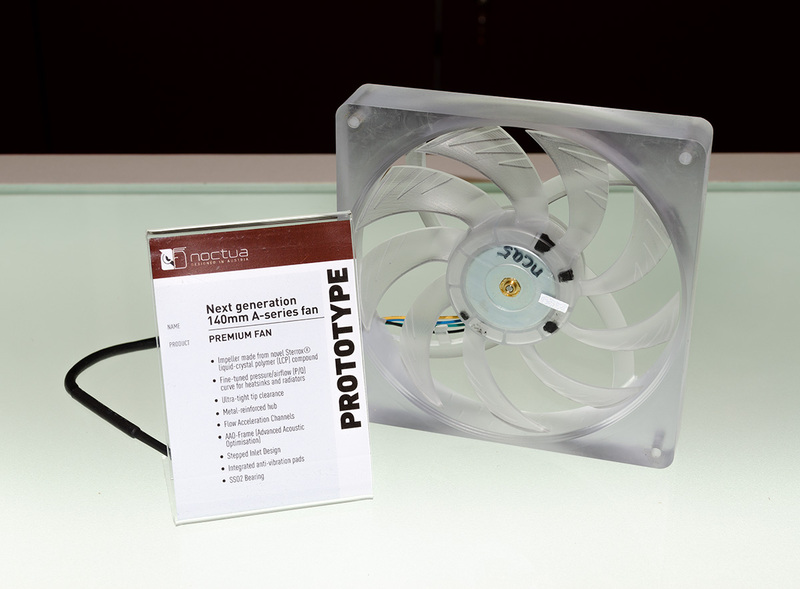 Last but not least, Noctua displayed two upcoming accessories, both of which should be on the market by the end of the year: An 8 port fan hub will allow users to connect, control and monitor up to 8 PWM and a 24 to 12V step-down converter will make it possible to run all 12V Noctua fans in 24V environments, thus enabling users to operate 40 and 60mm fans like the NF-A4x10 FLX and NF-A6x25 PWM in 24V-based systems such as 3D printers. 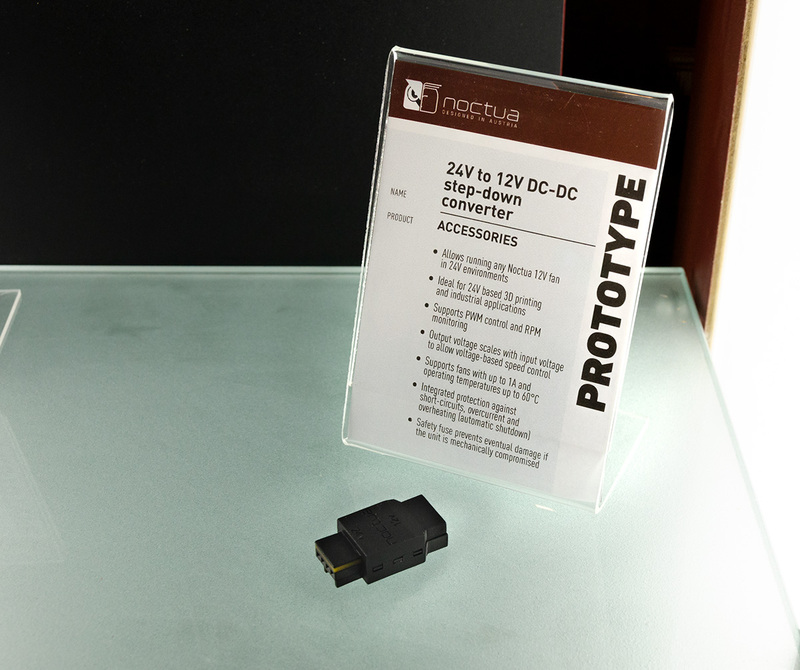 The converter will support both PWM and voltage-based speed control as well as RPM monitoring. 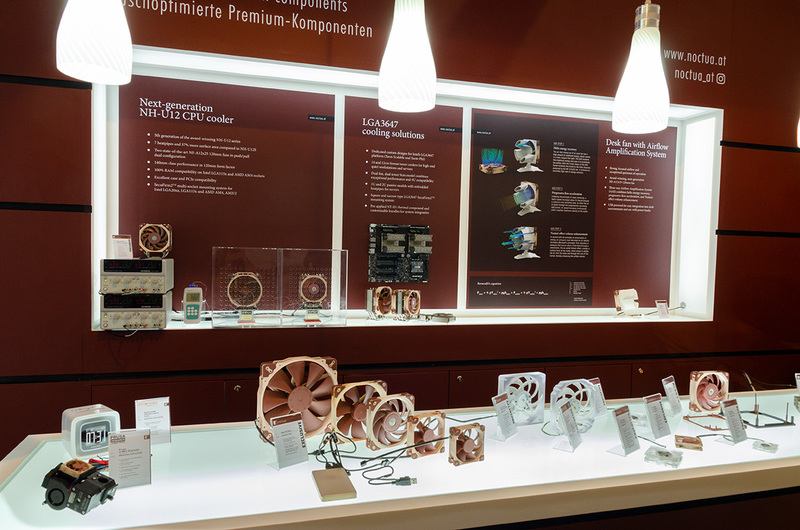 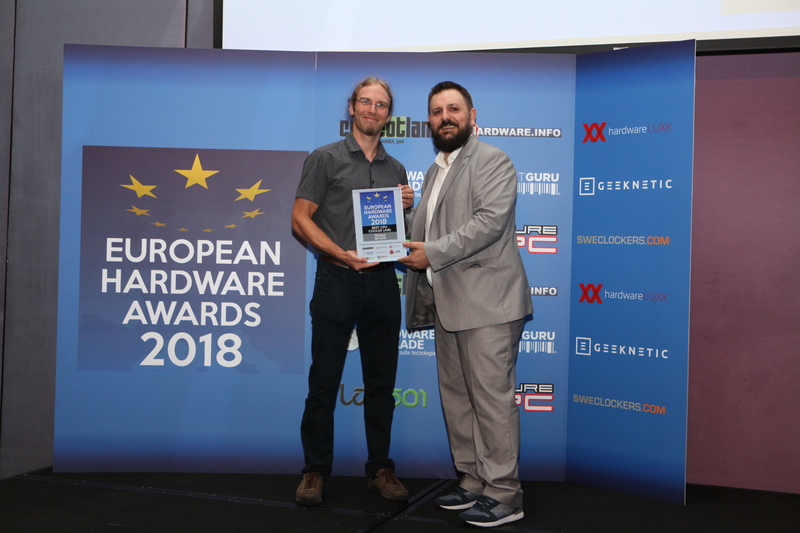 Aside from the busy show floor, Noctua’s flagship CPU cooler NH-D15 was voted the best CPU cooler of the year for the second time in a row by the jury of the European Hardware Association, made up of editors of nine leading hardware publications from Europe.